Worker’s Compensation is a type of insurance which protects a worker in the event that they are injured while on the job. If a tower climber is injured while on the job, worker’s compensation insurance pays for the employees medical bills. If an employee loses time at work, worker’s comp ensures that they receive their base salary for the time they are out of work. 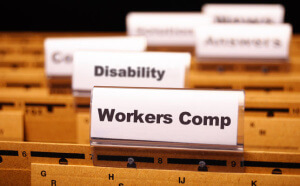 In the event of a death or permanent injury, the family of the employee will receive the worker’s comp benefits. These benefits frequently include funerary and burial expenses. In the tower climbing field, the majority of injuries occur from falls or the falling of objects. The need for worker’s compensation insurance has risen across the country with the frequency of death’s and injuries which have gone up in recent years. There is always a risk of property damage from falling equipment and improperly installed equipment, for this reason, most employers will have general liability insurance to protect from a lawsuit which could arise from accidental property damage. Equipment can malfunction and cause damage to the area surrounding a tower. Liability insurance is a way to offset some of the out of pocket costs which can be associated with this situation. Worker’s compensation is required by federal regulations for many businesses, but it has some marked advantages for employers. Even within a business that puts a strong emphasis on safety, accidents can happen. Having worker’s compensation insurance prevents the company from acquiring a lawsuit in the event of an injury from outdated or improperly maintained equipment. Though workman’s compensation, like other types of insurance, must have a premium paid, it is usually less than the costs of paying these funds out of the business profit margin. The problem which incurs, especially with small businesses, is that the cost of maintaining insurance can be a fiscal struggle. Since affordable insurance options are limited, many employers will only carry the minimum required amount of insurance for their employees. Due to this, some policies fail to properly compensate for catastrophic losses. Many insurance carriers will not even provide worker’s comp insurance to business’ in the tower climbing industry. Business’ which have fewer than 25 employees, will end up dedicating 15-30% more of their budget toward insurance premiums than larger business’ on average. This may change in the future. Enhanced safety guidelines are making the industry safer overall, not just for climbers, but for tower owners and the business owners. In the future, if the tower climbing industry reverses its reputation for being a dangerous field, there will be more companies willing to provide insurance. When more companies become willing to provide insurance to tower climbing companies, there will be more competitive rates available. In order for a company to work for a telecom provider, and to work on their towers, there is a requirement that the company have the state mandated amount of workers compensation along with other types of insurance. In order to keep costs as low as possible, a business must require all of its employees to follow safety protocol. This doesn’t guarantee that the insurance will never be used, but it does decrease the frequency of the occurrences.